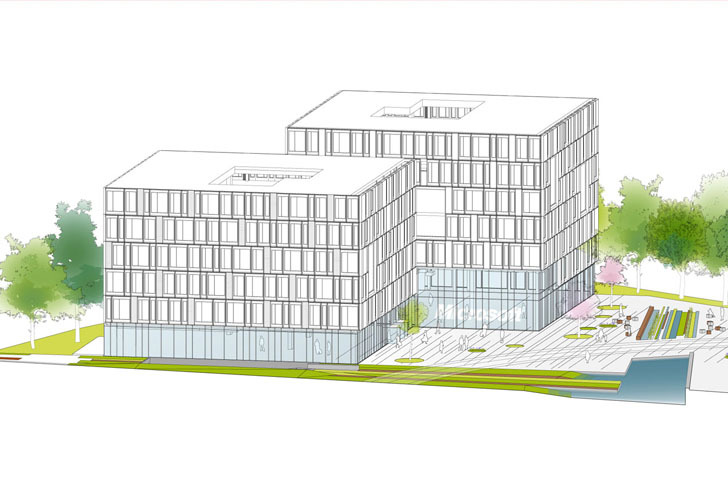 <a href="http://www.henninglarsen.com/themes/frontpage.aspx">Henning Larsen Architects</a> just unveiled plans for Microsoft's Danish headquarters in Lyngby, which is located just north of Copenhagen. It may lack the wow factor of <a>Facebook's sprawling new Menlo Park campus</a> and <a href="https://inhabitat.com/apples-extravagant-new-spaceship-campus-could-cost-2-billion-more-than-expected/">Apple's spaceship-shaped headquarters</a> in Cupertino, but the campus, which will consist of a cluster of mixed-use buildings, is expected to serve as a catalyst for the Kanalvejsgrunden district. Henning Larsen's plan calls for developing a series of flexible indoor and outdoor spaces that will spark creativity while bringing students, tech workers and local businesses close together. In addition to providing office space, the new Microsoft campus will include student housing and retail space. 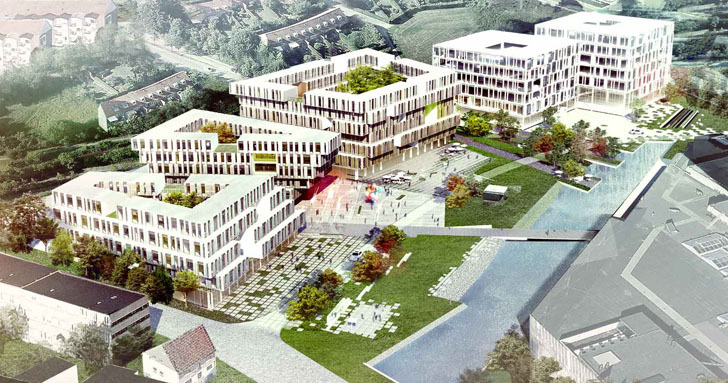 The mixed-use development will play an integral role in the <a href="http://www.ltk.dk/composite(8865).htm">Lyngby-Taarbæk City of Knowledge and Urban Development</a> 2020 plan, which aims to make Lyngby one of the top university towns in northern Europe. The development is also expected to create a lot of new jobs, and it will bring university students and Microsoft employees closer together. 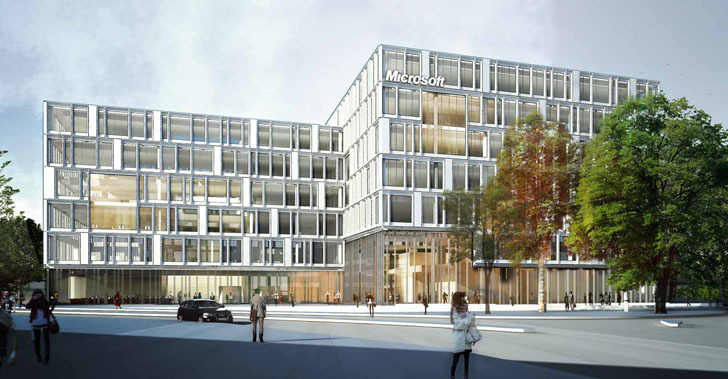 According to <a href="http://www.henninglarsen.com/themes/frontpage.aspx">Henning Larsen</a>, the new campus will reflect Microsoft's vision of the office of the future, which will promote worker collaboration through a flexible interior layout that is based on state-of-the-art technologies. 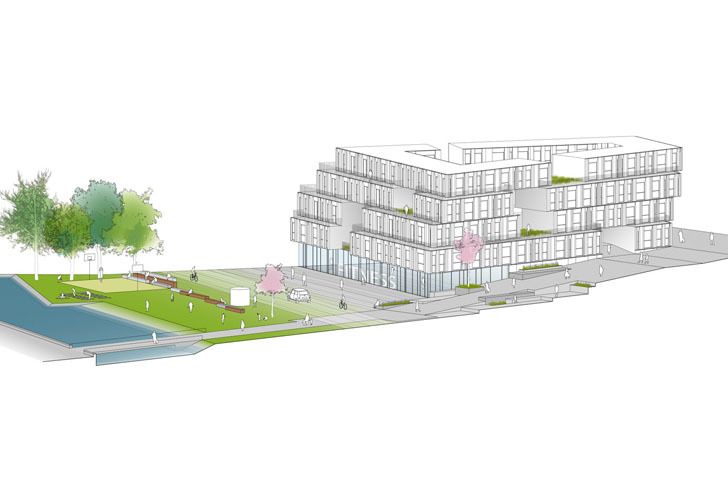 “The project reflects an interesting urban development strategy," said Mayor Søren P. Rasmussen in a statement. "Knowledge-intensive businesses are connected to urban life and the local study community. 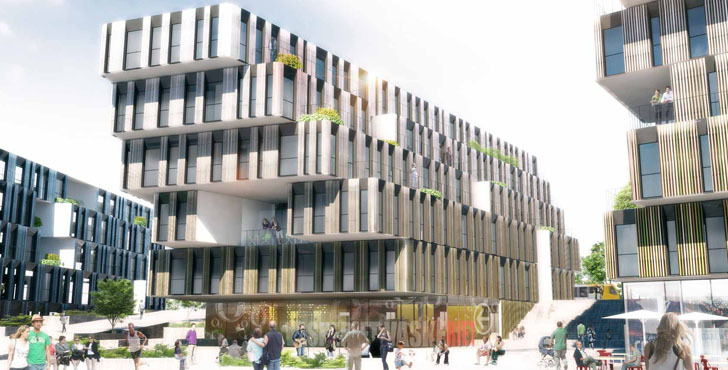 In addition, the building will create a lot of new jobs and provide a welcoming, dynamic urban space where city centre and green areas meet,” said Mayor Søren P. Rasmussen. Henning Larsen Architects just unveiled plans for Microsoft's Danish headquarters in Lyngby, which is located just north of Copenhagen. 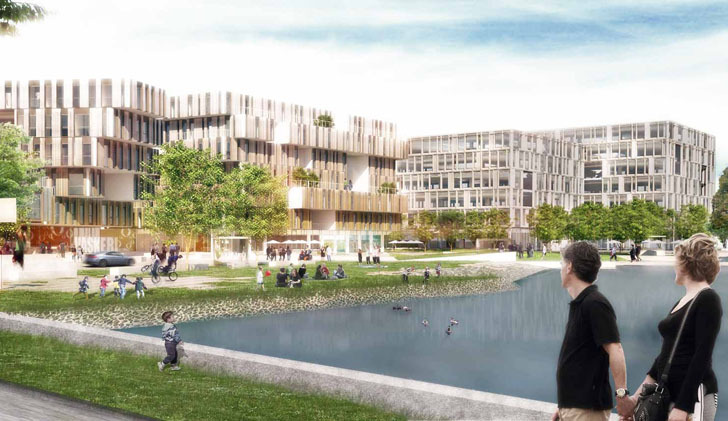 It may lack the wow factor of Facebook's sprawling new Menlo Park campus and Apple's spaceship-shaped headquarters in Cupertino, but the campus, which will consist of a cluster of mixed-use buildings, is expected to serve as a catalyst for the Kanalvejsgrunden district. 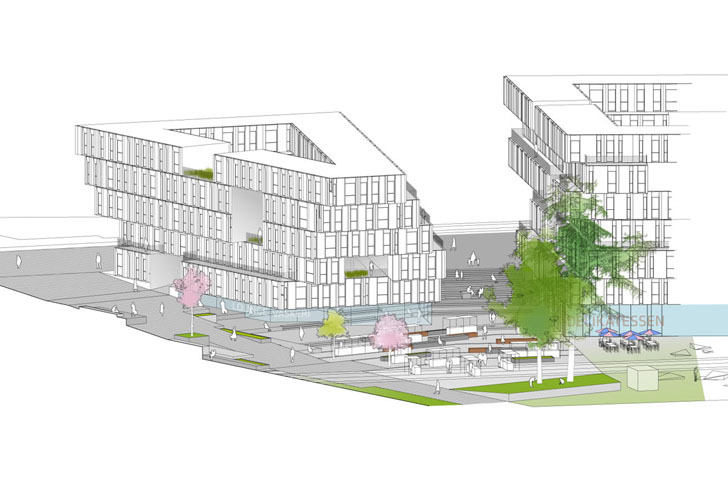 Henning Larsen's plan calls for developing a series of flexible indoor and outdoor spaces that will spark creativity while bringing students, tech workers and local businesses close together.